The third year of the festival marked a turning point in its relatively short history, with as many as 60,000 visitors, two much talked about prizes, and the opportunity for the festival’s two founders Sam Stourdzé and RongRong to meet with French President Macron during his state visit to China. 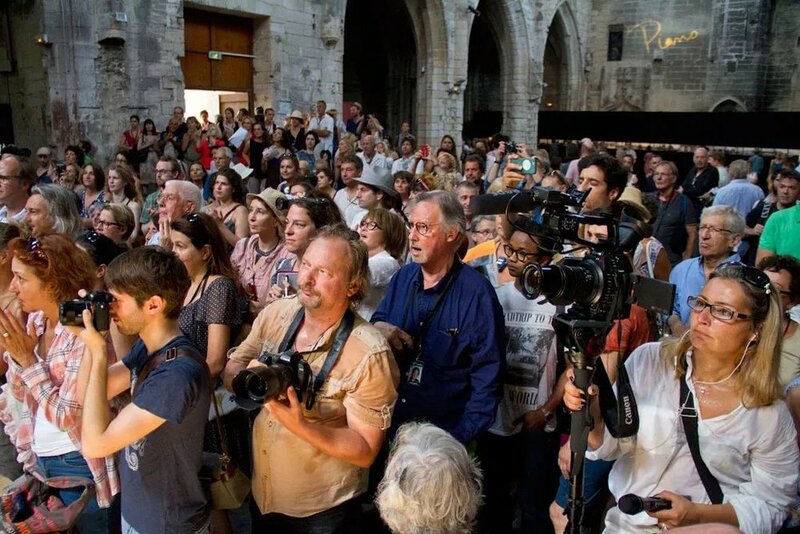 Over 60,000 people went to the Jimei x Arles festival in the winter of 2018. Among the 40 exhibitions and 250 artists were Joel Meyerowitz (USA), Wang Wusheng (China), Mathieu Pernot (France) and Audrey Tautou (France) ; collective exhibitions of 66 Iranian photographers, Blank Paper (Spain), Ruang MES 56 (Indonesia) ; 18 exhibitions demonstrating the vitality of the Chinese photography scene, of which 10 artists were nominated for the Jimei x Arles Discovery Award. This season’s festival was directed by Bérénice Angremy and her Franco-Chinese cultural agency Doors, established together with Victoria Jonathan in the autumn of 2017. Guided tours, art talks, conferences, a concert, screenings – the opening week attracted around 500 professionals and 90,000 online viewers thanks to livestreaming platforms NetEase and Zai Art. Feng Li’s work was shown during the 49th Rencontres d’Arles (2 July to 23 September). A unique opportunity to be seen during the Cannes of photography, frequented by 125,000 visitors a year. Influential figures of the Chinese art world are consultants for the 2017 edition of the festival: Gu Zheng, Huang Rui, inri, Charles Jin, Juan I-Jong, Li Zhenhua, Karen Smith, Wang Huangsheng, Wang Jun. The 2017 festival boasts the works of more than 250 artists from the United States, France, Iran, Spain, the Netherlands, Indonesia, and of course China. The festival’s aim of providing a platform for new Chinese photography has once again been re-affirmed with several exhibitions showcasing young Chinese photographers and curators. 10 Jimei x Arles Discovery Award nominees picked by five young curators: Guo Yingguang and Jiang Yuxin (curated by He Yining), Shao Wenhuan and Yu Mo (curated by Liu Tian), Deng Yun and the real (curated by Nie Xiaoyi), Yu Feifei and Siu Wai Hang(curated by Tang Zehui), Feng Li and Sun Yanchu (curated by Thomas Sauvin). The winner of the 2017 Jimei x Arles Discovery Award will be awarded a 200,000 RMB prize and an exhibition in 2018 Rencontres d’Arles. This year, the winner is Feng Li. Also, Siu Wai Hang has won the Special Mention from the jury members. A Collector’s Tale exhibition showing collector Huang Jianpeng's Chinese photography treasures, namely the works of Chinese photography pioneers Chin-San Long, Xue Zijiang and Lan Zhigui.